Child performers on the Elizabethan stage were subjected to abduction, cruelty and violence, reveals a study by a University of Oxford academic. Dr Bart van Es says court documents show some child actors had been forcibly snatched from the streets and threatened into performing. Their parents were then legally obstructed from rescuing them from working in London's seediest theatres. Dr van Es says these children faced "systematic exploitation and abuse". 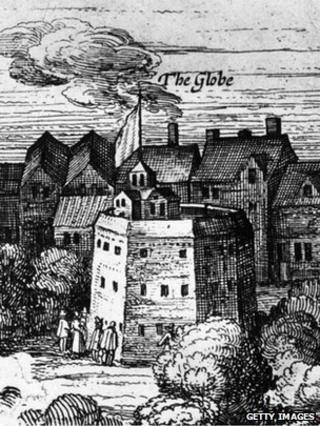 The study of London's theatre in the late 16th and early 17th Century reveals a dark underside of cruelty to children. From the 1570s, there had been theatrical troupes in which all the performers were boys, competing for audiences with plays performed by adults. But research from Dr van Es has examined the cruel way in which some of these children had been seized with "violence and force", kept as captives and threatened with whipping. These street kidnappings were not illegal, as the theatre owners had licences to forcibly recruit children. These powers had been granted by Queen Elizabeth I and carried her royal seal. Dr van Es, a fellow of St Catherine's College, says that in theory these powers were intended to find choristers for the royal chapel, but it was an "open secret" they were really about forcing youngsters to join commercial theatre companies. Theatre owners exploited this royal approval, saying it gave them "authority sufficient so to take any nobleman's son in the land". This left distraught parents unsuccessfully trying to retrieve their abducted sons through the courts. Henry Clifton, father of 13-year-old Thomas Clifton, said that a gang of men "did haul, pull, drag and carry away" his son on his way to school, inflicting "great terror and hurt". He was being held at the Blackfriars Theatre - and rather than returning him to his family, the theatre owners said the boy would be whipped if he failed to obey. The father struggling to get back his son complained of their "scornful" disregard for his complaints. And it wasn't only his own boy who was being held against his will. "The said confederates... did waylay the said Thomas Clifton as he should pass from your said subject's house to the said school... with great force and violence did seize and surprise and him with like force and violence did, to the great terror and hurt of him the said Thomas Clifton, haul, pull, drag and carry away to the said playhouse in the Blackfriars." "Elizabeth, by the grace of God Queen of England... to take such and so many children as he or his sufficient deputy shall think meet, in all cathedral, collegiate, parish churches, chapels, or any other place or places as well within liberty as without within this our realm of England whatsoever they be"
Henry Clifton reported that other children had been abducted from "sundry schools of learning" and apprentices had been seized from where they were training "against the wills of the said children, their parents, tutors, masters and governors". Dr van Es says there also seems to have been sexual exploitation, both in the staging of these children's performances and how these child actors were viewed by Elizabethan audiences. The academic says there are references by contemporary writers to child performers in a way that is "clearly sexual". And he says that the plays performed by children's companies were often much more sexually explicit than those presented by adult theatres and much more misogynistic in their content. Dr van Es says he was surprised by what he had found about the child actors, particularly against the backdrop of modern scandals about child abuse. He says that the children's companies were "bizarre" and "dubious" and should not simply be seen as a peculiarity of the Elizabethan era. Dr van Es has uncovered his findings while researching a book, Shakespeare in Company, and he says that William Shakespeare emerges with some credit from this dark story. Shakespeare's writing suggests his distaste for this use of "captive children" for entertainment, he says. Thomas Clifton's son was abducted at about the same time as Hamlet was being written and Dr van Es says that the play's plot shows that the topic of child actors was a talking point. The actors in Hamlet have been pushed out by competition from child performers and Dr van Es says there are mocking references to plays put on by children's theatres. Shakespeare, as other playwrights of the era, used child actors to play women's parts, but Dr van Es says these were apprentices rather than virtual prisoners. "Shakespeare actually comes out of this rather well," says Dr van Es.